The inaugural First Friday Latino was held in March at the York College Center for Community Engagement. Since then, it's drawn hundreds of attendees, including Pennsylvania Governor Tom Wolf, as it rotates around Downtown York. Photo by Randy Flaum. Early March brought a powerful nor’easter to York, but even the howling wind accompanying the storm couldn’t overpower the thumping bass emanating from inside the York College Center for Community Engagement. Inside, about 200 people gathered to celebrate the Inaugural First Friday Latino. It was one-part party, one-part resource fair and one-part networking event. Put together, it marked another catalyzing moment not only for Downtown York’s continued resurgence, but also for a Latino community ready to put its mark on the city. “We just want to make our people get out there and show the world that we can do amazing things,” said Thais Carrero, a member of Latino Unidos of York, the organizing group behind the event. With its inaugural event a success, First Friday Latino is poised to be an exciting new standard feature of Downtown York’s signature First Friday event. It will move to a new location every month, bringing with it live music, food and more fun activities. Salsa dancing has proven one of the most's popular draws for First Friday Latino. Photo by Randy Flaum. More important, it will offer a chance for the people who make York a vibrant city to connect with each other. Rivera saw an opportunity to expand First Friday’s reach to the Latino community after experiencing a similar networking event in Lancaster. 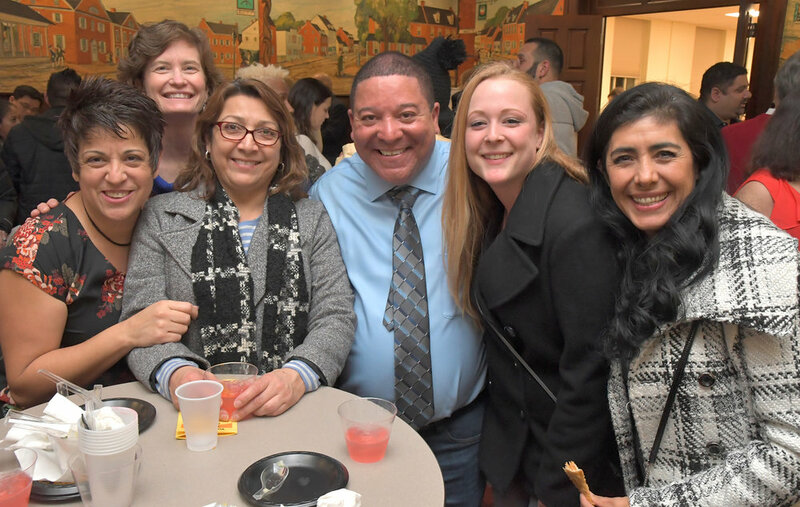 First Friday Latino received a boost with the recent formation of Latinos Unidos of York, which aims to connect people with resources and grow the Latino community’s influence around York. Downtown Inc, York’s downtown improvement organization, collaborated with Latinos Unidos of York to organize and promote the new celebration. The event came together quickly over a few months, Carrero said. It drew immediate buzz on social media, and the enthusiasm carried over to the debut event. Drawn in by the homey smell of freshly made empanadas, people packed into the York College CCE to take salsa-dancing lessons, enjoy live music and craft beer and special cocktails. Flags from Latino countries around the world adorned the walls, adding an international flair to a building that, during a former life, was once an exclusive social club with a mostly Caucasian clientele. Now, under the leadership of the college, it’s a space to spark community engagement. That made it a fitting spot for First Friday Latino’s debut. Events like First Friday Latino help break down existing barriers and change mindsets, said Lloyd Fernandez, who went to high school in the city and now works as a realtor in York. First Friday Latino has become a monthly celebration of culture, all the way down to the food served at the event. 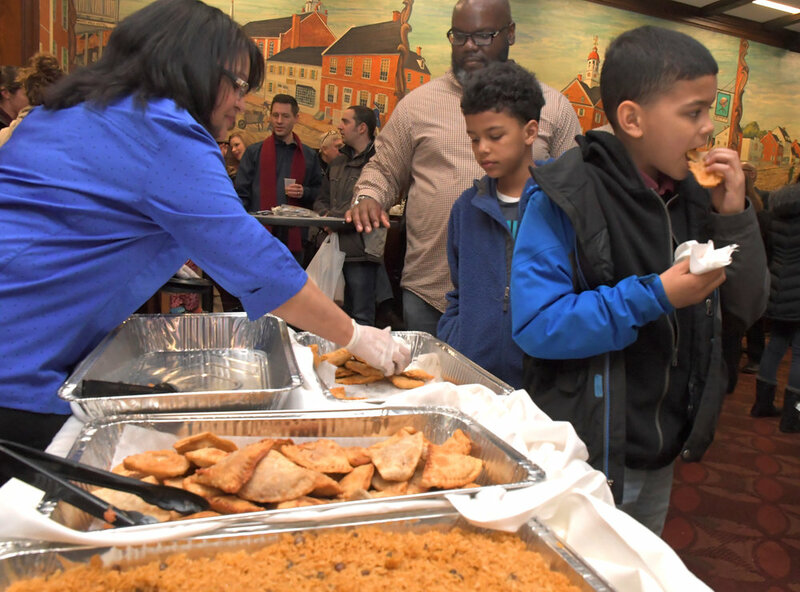 For the inaugural First Friday Latino, the smell of empanadas drew a hungry crowd. Aneury Perez grew up in the city, still lives nearby and works downtown, but he noticed many new faces in the crowd, he said. Already a fan of First Friday events, Perez said the new addition offered a great new networking tool. If the first event is an indicator, First Friday Latino has a promising future. 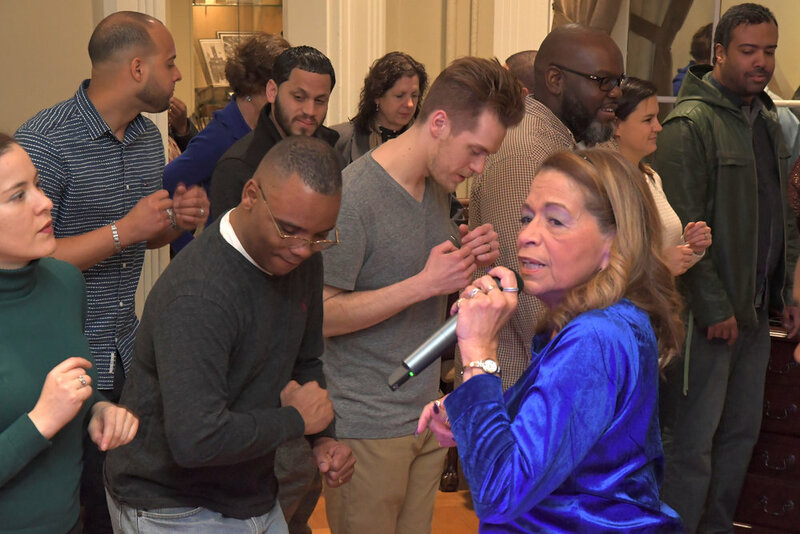 As the crowd buzzed in the next room, Carrero marveled at the turnout for the inaugural First Friday Latino. She recently moved to York from Puerto Rico and said she appreciates the active community. This article originally appeared in the Spring-Summer 2018 edition of Downtown York Magazine.